De-wetting is the tendency of the coating material to refuse to wet the surface that it has been applied to evenly. The effect tends to act locally due to local contamination. It can be a global affect right across the board. 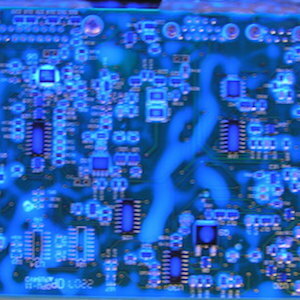 Examples are shown in the images where the conformal coating has de-wetting, potentially providing inadequate coating protection to the board surface. 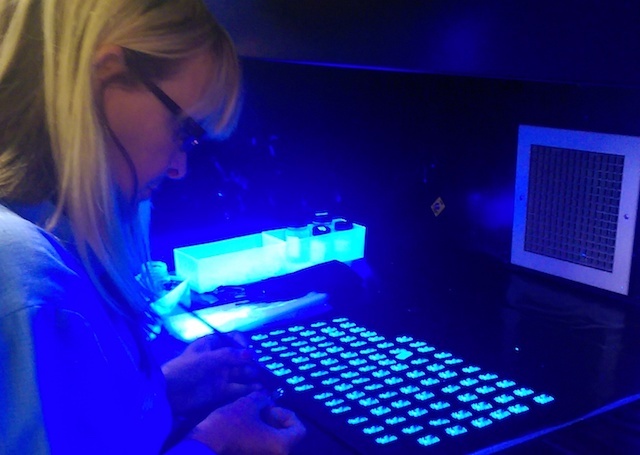 Control the process: Minimise the contaminants that are on the component parts before assembly. This includes laminate & component cleanliness control before assembly and selection of low residue process materials including fluxes and pastes. 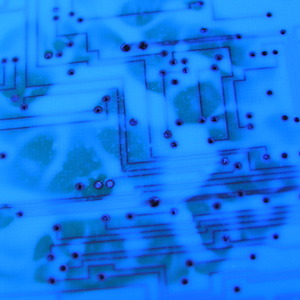 Clean the boards: Cleanliness of the boards before conformal coating will minimise de-wetting defects. Repair while processing: After applying the coating, locally strip the de-wetted area and re-apply the coating to the correct specification.